This comprehensive handbook may be the best one-volume work of its kind I have read. 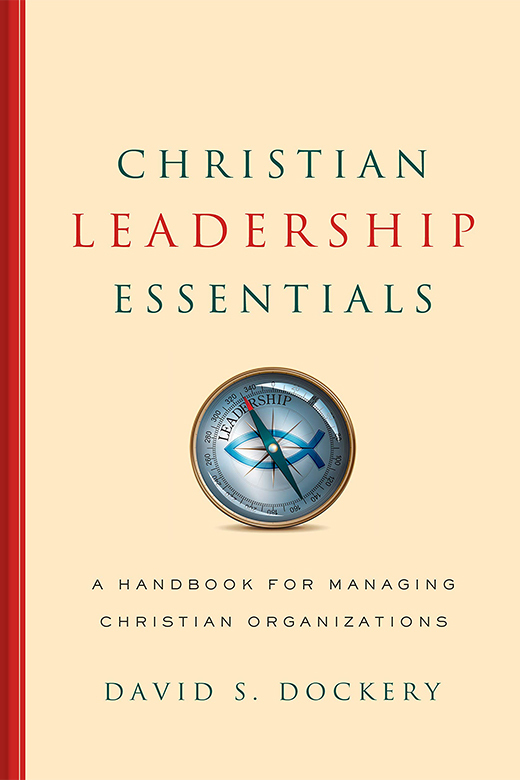 While slightly dated in a few places, it is encyclopedic in scope, focused in purpose ("a leadership resource for leaders at various levels"), distinctly Christian in worldview, and practical without being scripted. The authors, with a combined 350 years of Christian organizational leadership experience, are experts or qualified practitioners in their respective areas of focus. How much did this help me? There is hardly a page of my book that does not include an underline, highlight, margin summary, or notation for future reference. Christian Leadership Essentials: A Handbook for Managing Christian Organizations addresses the following: A biblical model of leadership, Organizational identity, Vision and strategic planning, Governance and board relations, Organizational management, Finance and budgeting, Development, Campaigns and building projects, Foundation relations, External relations, Relating to a varied constituency, Teams, From peer to manager, Employee relations, Engaging the culture, Crisis management, Leader as mentor and pastor, Leadership for a global world, Transitions. As with any text one can always ask for more. For my part, I think the work would be improved by adding segments on organizational communication and enhancing organizational culture, though chapter 13, "Employee Relations in a Grace-Filled Community" was outstanding. Otherwise, both items were touched in a few places, but additional treatment would help. 1. Links to additional reading: I love to know what others are reading. Since each chapter is well referenced and some authors cite book favorites, my "To Read" list increased significantly. 2. Dependence focus: Leaders must seek a spiritual understanding, a revelation of the unique work that God calls them to that is more than just the appropriation of best practices of successful models of others.... page 41. Dependence married to resiliency! See chapter 12, "From Peer to Manager." 4. The necessity of the Board: Select the best. Leverage their expertise. Determine appropriate President-Board relations, 3 hats.